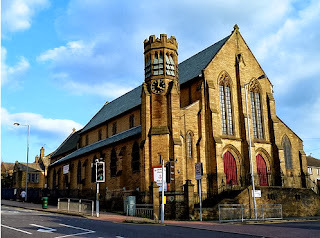 This church was built 1892-94 by architect E.P. Warren. 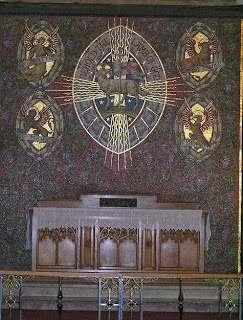 The internal decorations include painting and design work by William Morris and Edward Burne-Jones, as well as a large mosaic reredos by Salviati. 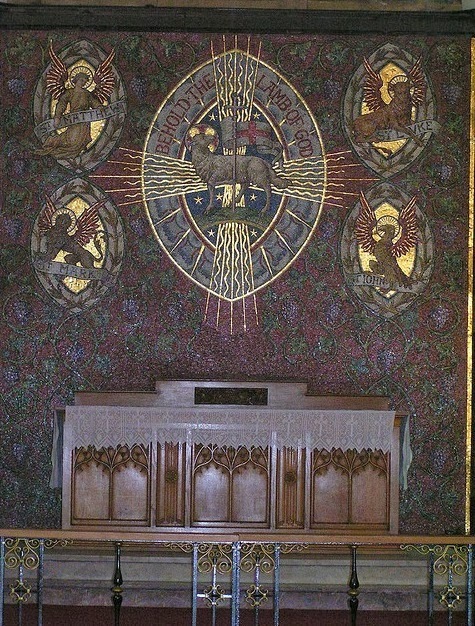 The reredos features a central Lamb of God, surrounded by the usual symbolic representations of the four Evangelists. 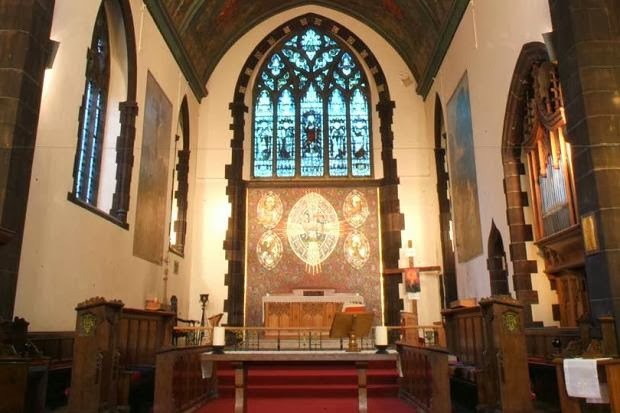 Hipwell, Deirdre. "Case Studies:'Cash-flow has been wrecked'." The Times. May 30, 2011.